Most of the time there’s an obvious choice. Need more midrange? Grab an EQ and boost the midrange. Need more control of the source? Volume automation or compression. Easy. But sometimes we face strange challenges — like how to get more bass in the kick without running out of headroom. Or how do we make something sound brighter that doesn’t have much harmonic content above 7 kHz except hiss. Well, where there’s a will there’s a way. Sometimes the way is just a little less predictable. 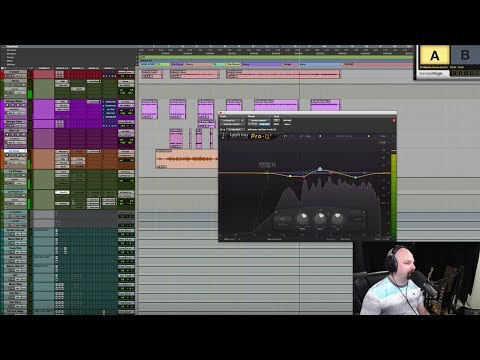 So with that said, here are seven counterintuitive mixing techniques you can use to solve unconventional problems. What? 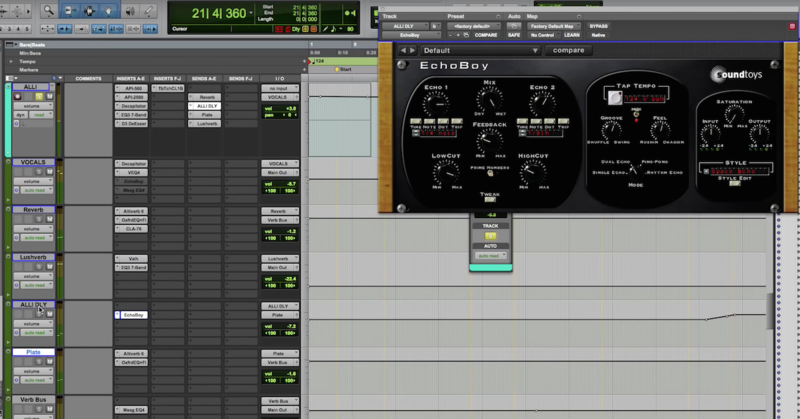 How can using a low-pass filter make something brighter? Well, let’s say you have a distorted guitar. It’s power goes up to about 5-6 kHz, but after that it’s just noise. A treble boost will bring out that noise, clog up your mix, and make the guitar harsh. Instead, use a low-pass filter with a very steep slope. This does two things. First, it cuts out noise and distortion. Second, it actually accentuates the tone at the corner frequency — so while you might be attenuating everything above say 6 kHz (for example), you’re actually boosting the 6 kHz region. This happens because the EQ generates resonance right at the corner of the pass band — and it’s actually pretty clean and clear! When we want to hear more bass in a bass guitar, kick drum, or other low-end element, the obvious solution is to boost the low end. However, sometimes what we really want to do is just draw more attention to that bass element. We can do this by adding midrange: pulling up the thud of a kick or the gnarly overtones of a bass. This pulls our ear to that element, telling us there’s more of it there — even if it’s actually just more midrange. This can be extremely valuable when you don’t have much headroom, or there’s something else competing for attention in the low end. But wait, doesn’t a compressor restrict dynamic range? Not necessarily. It attenuates a signal that exceeds an amplitude threshold. In most cases that will restrict the dynamic range. However, if the attack is long enough, and the threshold is low enough, a compressor can actually exaggerate the attack. This happens because the compressor allows the front of the signal to pass mostly unaltered, while still pulling down the sustain of the signal and making the attack more prominent relative to the sustain. This can be very useful when trying to bring an already over-compressed signal to life (over compressed … compress it some more!) — or for injecting some serious snap into a dull drum sound. If you’re using a brickwall limiter on your master buss, chances are you’re doing so to make something loud. And to do that, you want the maximum amount of headroom available. 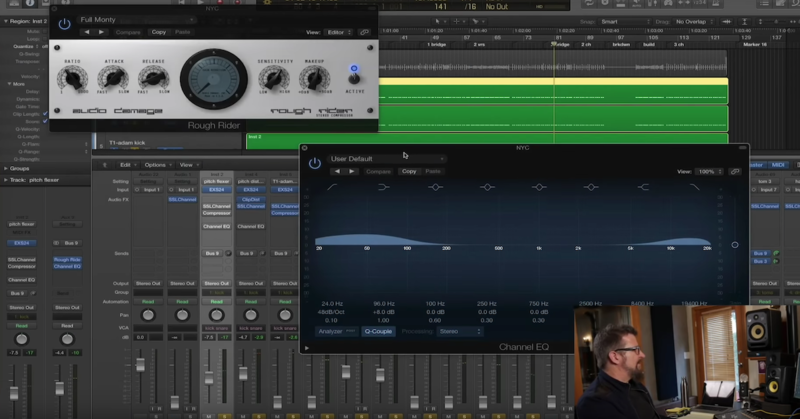 So why on earth would you use a transient designer in front of a limiter? Wouldn’t exaggerating the attacks use up your headroom faster? Well, yes and no. Technically yes, but remember that these things aren’t perfectly mathematical. Sharpening the transients can do two things. First, you can legitimately get more transient through the limiter and still retain loudness because a transient designer is boosting in a different way than the limiter is cutting. Second, the limiter is pulling down everything in the mix. That means while your kick hits harder for that 10 ms, your bass gets attenuated for that 10ms as well. The attacks will poke out clearer in the mix, thus exaggerating the dynamic perception. Warning: sometimes this sounds like crap, so use it when it works and don’t use it when it doesn’t. Light amounts of harmonic distortion will exaggerate the overtones of a source. Our brain uses these harmonics to tell us what exactly we’re hearing. It’s kind of like saying we’re going to make this clarinet more “clarinet-y” by emphasizing its partials. Remember that reverb is used to create a sense of space. 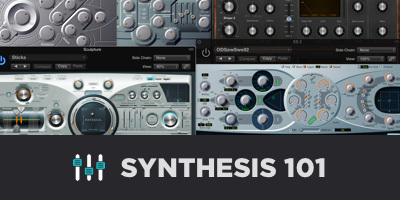 Without reverb, it’s hard to define the front-to-back relationship of elements in a mix. Contrasting wet elements with room sounds to the elements that are almost entirely dry can actually create a more “in your face” effect than simply leaving a sound 100% dry. The key to doing this is to keep your forward elements sent to a reverb that is a) primarily early reflections, and b) has a long pre-delay. The other benefit to using this kind of “ambiance” reverb is that it reinforces the tone of the dry signal a bit, which often makes it pop forward as well. Not that I feel loudness is absolutely paramount to a successful mix, but in today’s climate of iPods, noise-ridden listening environments, and DJ controlled playlists, it’s important that the record lives within the same general vicinity of apparent loudness. Or to say it another way: the record shouldn’t sound out of place amongst the other records being played shoulder to shoulder with it in the same genre. Getting a mix to sound loud without losing tone, dimension, or punch can be tricky — especially when the references of today’s mixes are as loud as they are. So I’ll say two things. First, trends are showing that the loudness wars are easing off in pretty much every genre except EDM — so aim to make your mix maybe a little quieter than your references. 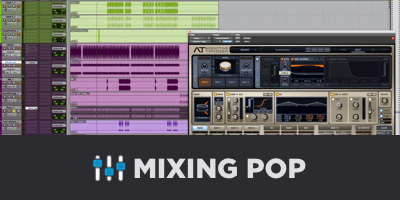 You’ll have a much easier time getting the mix to hang together. Second, mix your record at low monitoring levels. The reason this works is because it forces you to create energy and excitement when loudness is not an option. This will force you to be more selective about EQ and compression settings, as well as general levels and imaging. When all said is done, you’ll find that a record that creates the impression of a big sound at low levels will sound absolutely huge when it’s cranked.